The mask features a replaceable one-way non-rebreathing valve with a biological filter. 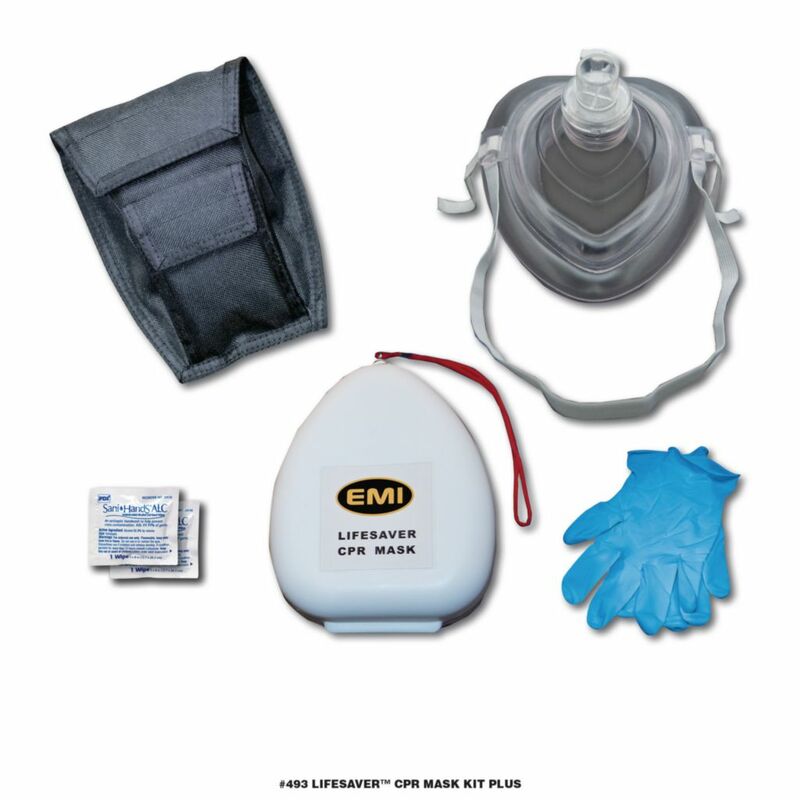 The Lifesaver™ CPR Mask has a clear, odorless dome for patient monitoring. The soft, flexible mask conforms easily to the faces of adults, children and infants and remains pliable even in extreme temperatures. The Lifesaver™ CPR Mask requires no assembly and instantly opens to a ready position. It also comes with an oxygen inlet valve, head strap and water resistant hard plastic case. Ordering information: Includes (1) Hard Plastic Case, (1) Lifesaver™ CPR Mask, (1) Pair Nitrile Gloves, (2) Antimicrobial Hand Wipes, (1) EMI Airway Response Holster.